Whether you’re inheriting a backyard with the purchase of a house, or you’ve been working on cultivating that beautiful lawn and garden for years, you probably know that the list of chores to be done outside never seems to end. Grass grows quickly, weeds pop out of nowhere, branches and leaves fall from the trees – the work can seem endless. But not all yard work has to be routine and boring. Your backyard can be a great place to eat, hang out, and enjoy life. And with today’s thoughts, you can spruce up the place without going to too much trouble (or expense). No matter how much space you have in your backyard – whether it’s mostly concrete or stone, a tiny fenced in space, or a big sweeping landscape – you can always benefit from a little more greenery. Enter the container garden. 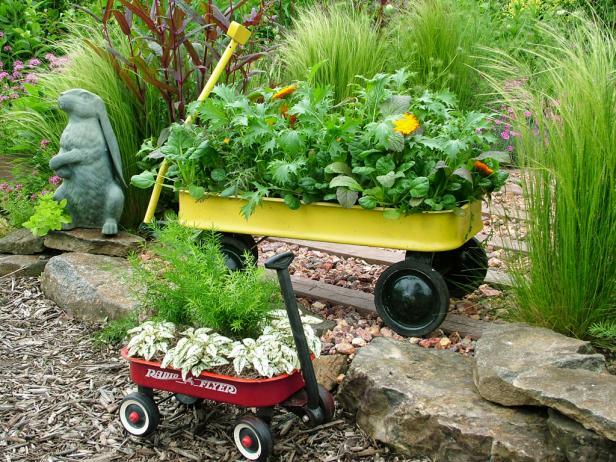 Simply put, if it can hold dirt and water, it can be part of your container garden. Ceramic bowls, plastic jugs, brake drums, and barrels – no matter what it is, you can most likely find a plant that will thrive and look beautiful in it. The key is to pick a theme and stick to it, so that your garden has a consistent, appealing look to it! As any interior designer will tell you, well-placed throw pillows and blankets can make a big difference when it comes to brightening up an otherwise empty space. And best of all, if you can’t find anything you like at the store – and you can always check secondhand shops like Goodwill and the Salvation Army – then it’s simple enough to make your own. Just pick out a fabric and filler that you like, break out mom’s old sewing machine, and stitch together a little décor all own your own. It’ll look great and you’ll feel a big sense of accomplishment for a simple DIY project. When you think about wreaths, you probably think about the holidays – but these versatile decorations aren’t just for one season, and can be hung on more than your front door. 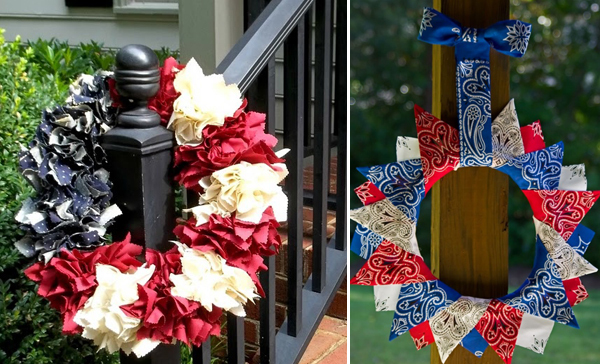 Whether you’re feeling crafty and want to create your own, or you find one at the store or online that you simply have to have, adding hanging decorations like wreaths can really complete your outdoor look. Plus, they’re a versatile decoration for theme and holiday parties! This entry was posted on Monday, May 1st, 2017	at 9:31 am	. Both comments and pings are currently closed.